What a difference a week makes for our Second Team. After being dismissed for 98 last Saturday, we romped to 309-4 in their 45 overs to beat Chiswick & Whitton by 175 runs and take their second place in the table. A solid foundation to the innings was laid by Sheridon Gumbs and Matt Grinham as they put on 66 for the first wicket before Grinham was out LBW in the seventeenth over for 31. 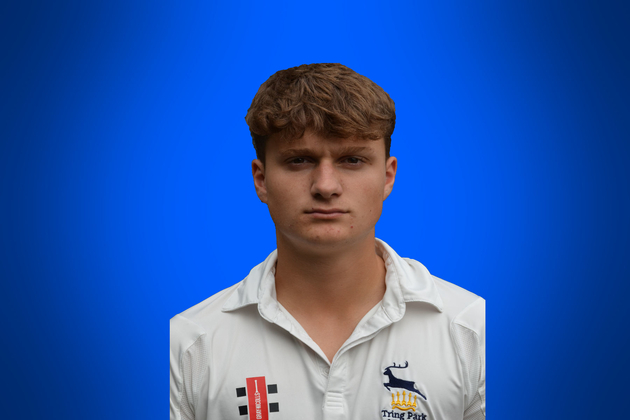 Gumbs was then joined by Jack Rodnight (pictured) and they consolidated the good start with a partnership of 80 in exactly 16 overs before Gumbs also departed LBW for 59. Tom Calder then came to the wicket and this is where the fireworks started. He hit his fifth ball for six and never looked back as he completed his half century in just 23 balls and was finally out for 63 from 27 balls having found the boundary nine times, seven of them for a maximum. At the other end, Rodnight who had completed his fifty from 65 balls started to accelerate. He played an array of shots, some traditional, but also the reverse sweep and the ramp shot and anything sort was bludgeoned away to the boundary. His second fifty came off 29 balls and his final 25 off 8 balls. Together Rodnight and Calder put on 152 for the third wicket in eleven and a half overs and a staggering 148 were scored from the last nine overs. Both were out in the final over as they saw the Second Team to 300 for the first time in many a year. The Chiswick & Whitton innings started perfectly for the Second Team as the very first ball from Jake Seagrave was edged by captain Harpreet Bhatia onto his pads and into the gloves of Stephen Dutch playing his first game back after breaking his finger. This was the first of five wickets for Seagrave who was well supported in the field by Calder who took four catches. Paul Orton chipped in with three wickets as wickets continued to fall and at 90 for 9 a win by 200 runs looked possible. There was a bit of a revival as Chiswick put on 44 for the last two wickets but Rodnight had success with ball too as he took the ninth wicket and Toby Wastling wrapped things up with the tenth.